Lauren Wilson is a graduate of the University of Florida where she received her bachelor’s degree in adverting and a minor in innovation. She recently accepted an offer from VCU Brandcenter and will be continuing her education at Virginia Commonwealth University as part of the 2018 class. She hopes that the combination of a master’s degree and a portfolio will lead her to her dream job as an Art Director. When Lauren is not doing things related to advertising, she is at the gym, reading a good book at the beach, or watching HGTV. Kendall Williams is a recent graduate from the University of Florida who received a Bachelor of Science in Advertising in April 2016. Previous to Fox Sports U, Kendall worked as Assistant Manager at a local clothing boutique in Gainesville for over three years, a weekly fashion writer for CollegeFashionista.com, Art Director for an in-house agency at UF called AdWerks doing non-profit work for clients in the Gainesville area and a Marketing Intern for Macy’s Inc. Aside from school and extracurricular activities, you will most likely find Kendall planning her next adventure at a local coffee shop or snapping pictures with her Polaroid camera. With a love for creating, Kendall dreams of becoming an Art Director for 72andSunny, an advertising agency in Los Angeles, California. In the meantime, Kendall will start as a Sales Manager for Macy’s in Tampa, FL. while pursuing freelance graphic design work. Cameron Riley is a rising Senior at the University of Florida and will graduate in Spring 2017 with a Bachelor’s Degree in Advertising. In addition to his work with Fox Sports U, Cameron has worked as a copywriter for a non-profit, student run advertising agency doing work for clients in the Gainesville area, as a copywriter for TEDxUF, the largest TEDx event in the southeast, and as Vice President of Communications of Sigma Phi Epsilon. Cameron is an avid traveler and hopes to turn his creative nature and passion for writing into a career that will enable him to travel the world. He is also very interested in environmental conservation and would enjoy putting his creative and communication skills to use for environmental non-profits. If he goes on to work in the advertising industry, Cameron wants to pursue a creative route, working as a copywriter for a large, multi-national ad agency. Dana Hatchett was born in San Diego, California and was raised in Melbourne, Florida since the age of seven. She is double majoring in Advertising and Visual Arts Studies and will be graduating from the University of Florida during the spring of 2017. She has always enjoyed the advertising industry and finds the creation of campaigns fascinating. She enjoys the creative side of advertising and hopes to pursue that as a career. In her spare time, she enjoys photography and making art. Robert Cazzoli is from Miami, Florida where he attended Miami Killian Senior High. While in high school, he played on the varsity lacrosse team and was a member of several clubs and honor societies. 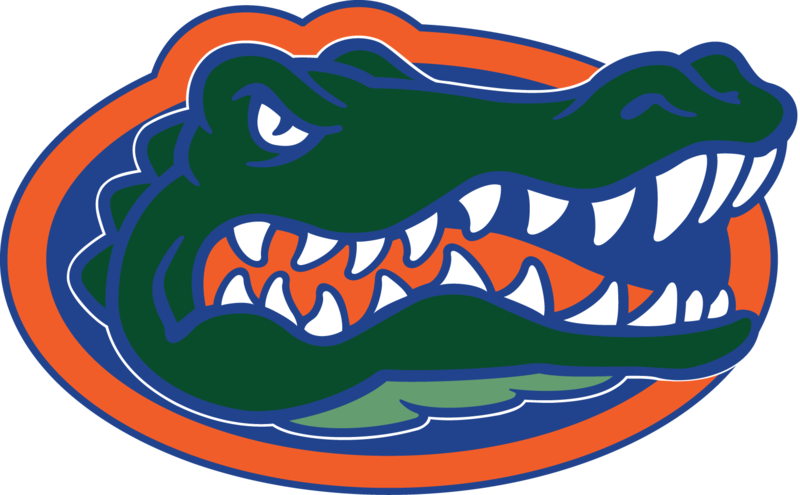 His mother instilled a love for the Florida Gators in him from birth, but he began to make that love his own when he was accepted into the University of Florida in 2012. Robert graduated from UF in April with a bachelor’s degree in Advertising and a minor in History, and he is currently job hunting for his first step into a career in the advertising industry. Although he has at least some interest in almost every aspect of the advertising industry, Robert discovered his passion for creative strategy and collecting primary research this past school year. Robert’s personal interests span numerous subjects, but his greatest passion can be found within the world of sports. It was this merging of his creative interests and his love for sports that lead him to this opportunity with the Fox Sports University Program in the first place. FOX Sports University challenged students at University of Florida to develop a multi-faceted campaign that increases awareness and promotion around the Daytona Supercross by Honda for the 2017 season on FS1.